Today was simply one of those days you end up shaking your head over. I had good anglers/friends Jon Manzo and Todd Bramwell in town for some windy fly rodding for redfish in the greater Wrightsville/Topsail sound waters and our day ended with a bang, literally. While running home after some tough fishing in the wind my original 60HP Etec which has served us well, simply powered back and gave up. Dead in the water I tried everything from pulling plugs to checking fuses and calling my mechanic. When we realized we were getting water to pump and no power but spark I feared the worst...Dead piston. Not one to be kept down and out I immediately called Sea Tow, thank you Scott for my membership you saved our butts and Glenn who rescued us is top shelf. While we waited on Sea Tow we flagged a good samaritan headed back to surf city and he sped things up by offering to tow us nearer to town; and the sea tow vessel headed to the rescue. 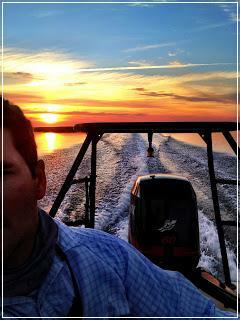 Glenn at Sea Tow was outstanding and took great care to make a bad situation a more pleasant undertaking. Jon and Todd rumaged through the cooler and found some anejo tequila and their spirits were fine by the time we hit the ramp. Just another adventure on the high seas eh? 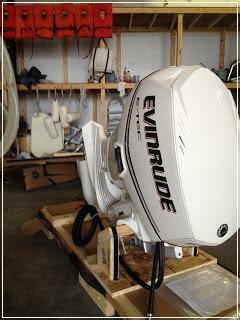 Knowing the motor was probably dead I dropped the boat off at my mechanic and began the process of contacting Evinrude to secure the purchase and delivery of a new 60HP Etec. 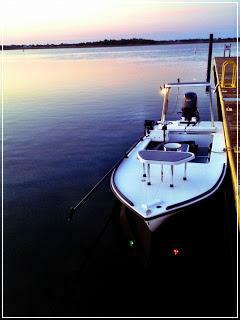 Through my pals at Fly Boatworks Jim Dismore and Capt. Tony Bozella I was able to get in touch with the right person at Evinrude and they were amazingly supportive of doing everything they could to get me back on the water quickly. During this time my mechanic Tim Best, who's awesome, called to inform me that piston #1 finally gave up the ghost after 4000 + hours of guide use. Not bad at all. I'm truly impressed at how durable the Etec continues to be and we could have rebuilt this engine, just not at the cost of a repower. Meantime I have to thank Capt. 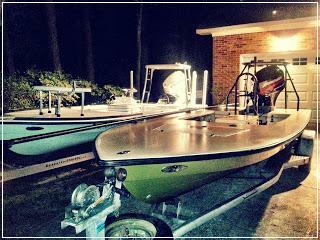 Eddie Stuart and friend Raiford Trask each for loaning me their insanely sweet skiffs. 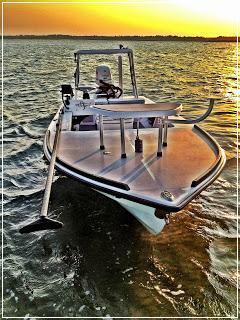 Eddie and I have identical Beavertails, his is Yamaha powered and Raiford has a vintage tiller Hells Bay Waterman. My anglers and I humbly thank you two fellas for keeping the dream alive in the repower interim and for trusting me to take exceptional care of your skiffs. I am currently repowered with my new Evinrude 60 HP Etec thanks to the guys mentioned above and my local boat builder Beau Johnson of Johnson Custom Boats. I couldn't have possibly done any of this without the support of my friends, you guys are all pros and I am ever thankful to have you in my corner. 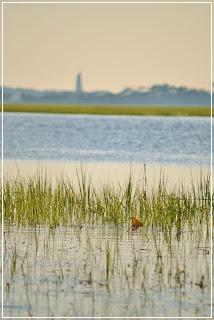 So what are you waiting for, the Cape Fear Coast is calling. The fishing is great and you should be here!